Since day one, This Is Us fans have been invested in Randall and Beth Pearson’s relationship that has always appeared to be pretty much perfect. Well, viewers have quickly learned this season that their partnership has flaws. To make fans even more nervous about what’s ahead for the two, both Sterling K. Brown and executive producer Isaac Aptaker have confirmed that Randall and Beth’s fate will be revealed in the season three finale airing on April 2. Spoilers ahead about Tuesday’s This Is Us episode that aired on March 26. 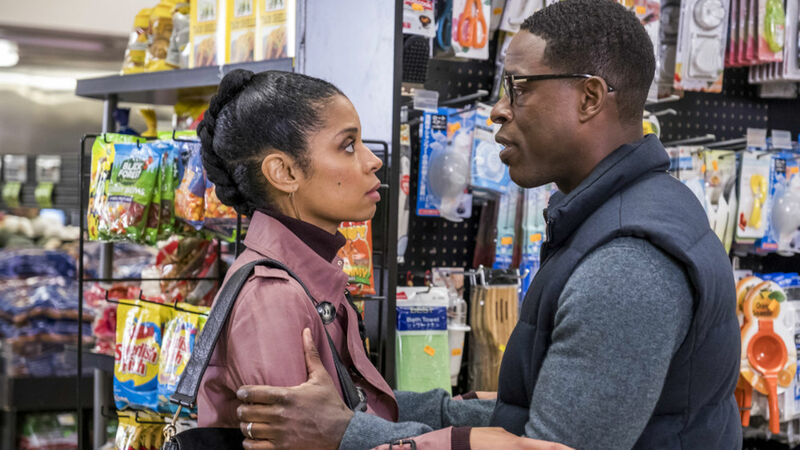 During Tuesday night’s episode, titled “R & B,” fans watched as Randall and Beth’s marriage starts to buckle under the weight of years and years of suppressed emotions. We learn that the two have been having the same fight over and over again throughout their entire relationship that first began in college. As Beth tells Randall, she feels like she constantly gives in for him, which is what has made their lives work for so long. Beth refuses to bend this time around, especially now that she’s discovered dance again. Randall says he doesn’t believe that he’s been “steamrolling” Beth for 20 years and he would’ve supported her dance dream at any point in their relationship. He also says he won’t be blamed for Beth having her awakening years later. Their argument gets even uglier when Beth says the following to Randall about bringing up her dance dream sooner: “Oh, so when would have I done that, huh? Between which of your anxiety attacks?” She immediately regrets her words and Randall ends up leaving to go sleep in his office in Philadelphia. Unfortunately, the episode does not show a resolution for them, but Brown says fans will know for sure where the two stand by the end of next week’s finale on April 2.
Who knows what’s going to happen with Randall and Beth, but fans better prepare themselves and have a box of tissues ready, because This Is Us never fails in producing an emotional finale.